Below is my review written in December 2009 covering the legendary HTC HD2. I received the HD2 yesterday afternoon. I must thank Clove Technology for their great friendly service. The box was identical in size to my HTC Hero which surprised me, but opening the box and taking the HD2 out felt really good. I left it to charge for all of 10 minutes and then had to switch it on. One word. The screen is fabulous. Setting up. HTC have tried to make setup simple, with initial logins of facebook, twitter, youtube, email and a few other items. I struggled to get my gmail to work. I could only get my gmail using the activesync settings. Anyway, problem appeared to be related to some email settings in Google itself, so finally today I have Gmail working as it should. I am using the activesync app to sync my google calendars and contacts, and microsoft my phone to sync photos, text messages, tasks, browser fav etc. I have copied some videos and photos across (1000’s) and music. Music sync’s perfectly via Windows Media player. It is quicker to put the HD2 into disk drive. The HD2 comes with a lot of great software, so I have only added Resco File Explorer, and Ereader. Reading books on the HD2 is miles better IMO than any book reader. I was able to transfer my Copilot 8 license across from my Hero to HD2. I did this by deactivating my license on the Hero and reactivating it on the HD2. Copilot 8 on the Hero is stunning. Crystal clear quality maps. HTC has designed a bespoke gps mount system, that also enables a new homescreen called Navipanel. I have for the time being copied the shortcut so I can launch this. Games. The HD2 only comes with Teeter, but I did notice in the file directory that the games for Solitaire and Bubble do exist. I have installed successfully the following games:- Astraware Sudoku, Astraware Casino, Astraware Solitaire, Astraware Boardgames, Bejeweled 2, Asphalt 4, Bookworm, Brain Challenge 3, Resco Bubbles, Prince of Persia, Jewel Quest II and Text Twist. I have played a number of videos, and the all look great. Scrolling through my endless photos is a joy. Music quality is brilliant, web browsing in landscape superb. In fact the screen just makes everything look amazing. And then there is the speed. It’s fast, it’s snappy and I couldn’t believe how many apps I had open and still no slow downs. 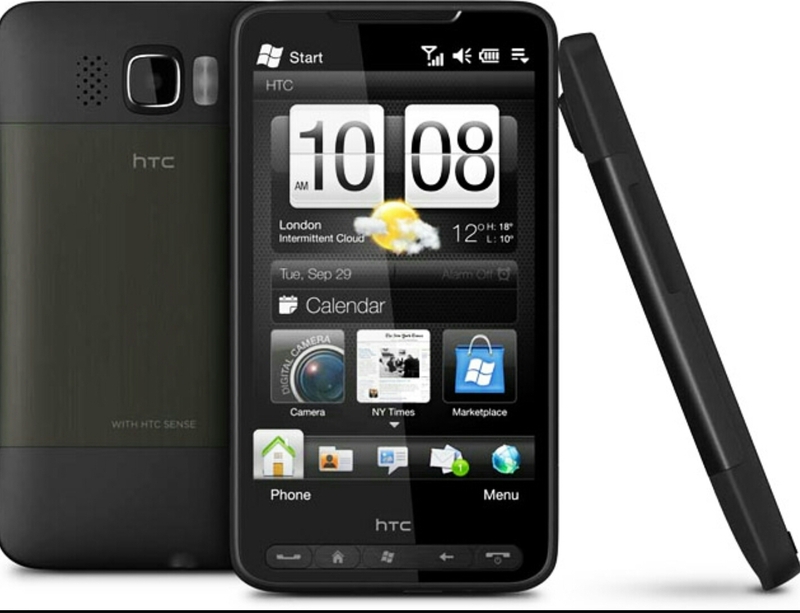 HTC Sense – what I have found is that HTC have taken away the need to leave the today screen. Nearly everything can be done from the home screen tabs and I am finding this a joy. Is there a negative. Yes. A lot of older apps using the Owner Information applet in settings to look for your name when registering software. It doesn’t exist on the HD2. However, a few registry tweaks (or if you search on XDA Dev there is a cab file that does it for you) it can be brought back. Is there millions of positives. Yes. Loads. But mainly I love it and now have to say goodbye to my lovely Hero. I have now had the HTC HD2 a whole 2 weeks, and this has enabled me to get to really appreciate the real HD2. Naturally, I have been able to tweak it a little, courtesy of the some smart people at XDA Developers. However, I strongly believe the HD2 is greater than most people realise. It is real life experience that matters. So here goes my view. The secret HD2. Beneath the surface are specifications not printed. We all know it has got a massive 4.3 inch screen and a 1ghz snapdragon processor, and other to die for specs. These specs do create a monster of a device, but in real life there are other aspects that make the HD2 even better. Firstly, the radio strength is incredible. I live in a very rural location. The HD2 is the first phone to hold a permanent signal throughout the house. Even better in nearby Tavistock, renowned for zero signal in places, I had a full 3g signal whilst waiting for my Chinese Takeaway. Impressive. I have found the call quality to be very good too. So what is the next secret. The GPS signal strength. Once again, using Copilot 8 it has been faultless, without losing the signal, no matter where I have been in Devon and Cornwall. And some places are really remote! To put in persective, the HTC Hero with Copilot 8 would lose GPS signal in places. The HD2 locks blistering quickly too. The next secret. Audio quality. As I am typing this I have my Sennheiser HD 415’s plugged into the HD2 enjoying Leon Lewis “Echo”. The audio quality is very good. I have not used my iPod Touch 2g since I have had the HD2! The last advantage I find is the keyboard. In portrait mode, I can use two fingers, just like having a thumbkeyboard. I find typing speeds just a nimble as I physical keyboard. HTC Sense. Having used a number of Windows Mobile devices, the first thing I had to start getting used to was not to use it like any previous WM phones because it is different, very different. The rule is “don’t” leave the today screen. Use HTC Sense to operate everything and once you start doing this everything just happens. I use every tab in HTC Sense with no problems. I use MS MyPhone to sync everything now (bookmarks, texts, calendar, tasks, contacts, photos, videos etc). Apps. I have added Coreplayer, so now I can watch any file type, Resco File Explorer, Wunderradio, Shazam, eReader, PocketClock Pro, and MyPlayer. For everything else I use the default apps. Opera, YouTube, Peep, etc. Games. I have used Marketplace to buy apps on my HD2 and it works well. I do wish the UK catalogue was not as restricted as the US version and that we could change the default storage location to the card. Apart from Teeter, I have added Asphalt 4, Panoramic Blackjack, Bejeweled 2, Resco Sudoku Touch, Resco Brain Games 2009, Prince of Persia, Bookworm, Resco Bubbles, Astraware Casino, Experiment 13, Astraware Solitaire, Jackpot Casino, Yacht, Sherlock Holmes, Xtrakt, Sonic Unleashed, Pac-Man, Jewel Quest HD, The Sims 3, Meon and Uno. All these games look great on the HD2. Tweaks. Me being me, I always like to tweak any new phone. I must admit I have added a few courtesy of XDA Devs, but not that many. I have a dedicated WiFi Toggle app, 9 opera tabs instead of 3, Camera as the left soft key on Home Tab instead of phone and a few minor tweaks. Issues. The HD2 is new and there are a few niggles. On a white wall, the 5mp camera creates a pinkish blob. HTC will have a hotfix out over the next few weeks to correct this. What has been bizarre, is that in tests nearly all 5mp camera phones have “pink” effects. HTC’s Twitter app Peep doesn’t always update according to the user update frequency. Some apps don’t auto rotate and would benefit from being viewed in landscape eg excel. There is a registry setting to get around this, but it would be great if there was another settings option for this. The Experience in use is so satisfying. Cover flow on music with album art retrieval option. Albums show photos effortlessly. Animated weather. HTC settings get rid of the old windows stuff. Speed, no slowdowns, and a happy user. Without fail, every person who has seen this, wants one, including the Apple employees in the Apple store. Would I recommend it. You bet. In a shortwhile all the niggles will be gone, and the device will just go from strength to strength. I joked I would keep this device 2 years, that 1 year 9 months longer than my normal duration, but in all honesty, I probably will!